Join us as we kick off our Black excellence mixer in celebration of Historically Black Colleges and Universities and Black History Month! Join us as we gather one last time as a group for some fun at Seven Ten Lanes! Our Winter Solstice is a great time to kick back, catch up with others you haven’t seen in a while, and connect with current Howard Students who are home for the holidays. We’ll have a couple of lanes for bowling and look forward to seeing you there! Get informed. Get active. Make your voice heard! Are you passionate about your career? Consider sharing it with local students this Friday! Mark your calendars and be sure to attend our next HUACC General Body Meeting! If you've never been, this is a great opportunity to meet fellow Bison in the area, learn about the work we're up to this year, and pay regional and national dues. The agenda will be posted here soon so keep checking back for more details! HUACC General body meeting will be held on April 9th at 3pm. Reconnect with fellow Bison in the Chicagoland area over drinks and good music! We're building our base of alumni in Chicago and its surrounding suburbs and want YOU to be a part of it. 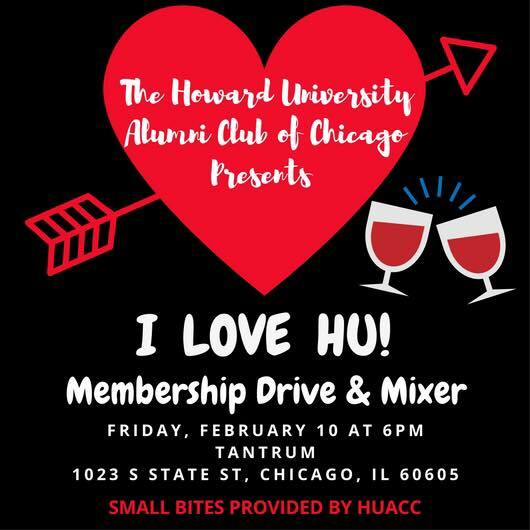 If you haven't done so already, you'll be able to pay HUACC and national dues at the event as well. 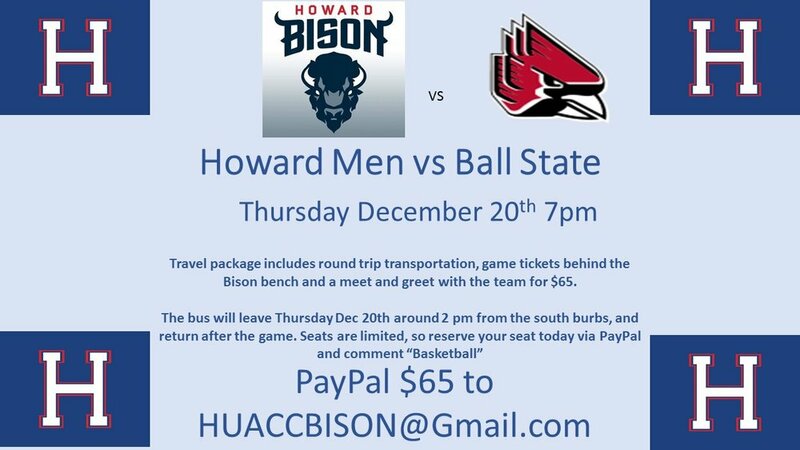 These go a long way in helping us provide scholarships to current Howard Students from the area and so much more. Be sure to be there! Join our mailing list so that you can be the first to know about HUACC news and events.